Operating a retail business entails a lot of tasks and procedures which could be very confusing sometimes. 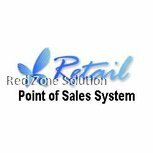 The X-retail Point of Sale / XRetail POS system software is enriched with premium features that would not only easy your task handling but also offer accountability on everything that happens around your business through keeping and updating business activities on your behalf. Unlike many point of sale system Malaysia, this point of sale can be customised to fit any business for efficient and helpful functioning. It can be used with a wide range of devices which gives the user the autonomy to choose any device of his or her choice. Despite the fact that it is designed to be used with Microsoft Windows platform, you can connect it with your phone, tablet or any device so that you monitor your business while on the go. The X-Retail POS Software Malaysia can enable you to categorise your goods and make the perfect prices for easy product finding in the store. You can arrange promotions, discounts, membership setup, customer points and incorporate salesmen. The overall effect is that you will have a complete simplicity in handling the complicated tasks of your retail business. This Online POS System Malaysia can enable you to monitor the transit of stock from the point they are collected the point the goods are delivered. It can also record stock return and ensure that you get updates on all the aging stock in your facility. In the event that you to do stock adjustment or do product inquiry, the machine would record everything for future references. Know the slow movers and the profit generators so that you make the best decisions when it comes to choosing what to keep in the store and what not to. XRetail Even though it can perform a tremendous number of wonderful actions, it won’t take long before you master the system in and out. You can be sure that after some hours of training your cashiers, salesmen or other workers, they would be able to use it without any problem. Every feature is perfectly readable on the screen, and when an error has been made, the machine is going to notify the user so that you make the necessary corrections. Void sales, returned products and products offered in debts are going to be perfectly recorded so that you don’t get confused when you are reviewing the activities in your retail. The bottom line is that this software cans simply your business operations and the good is that you can program it to fit your business.